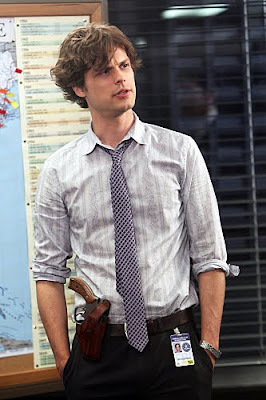 In Season 5 of CRIMINAL MINDS, series co-star, Matthew Gray Gubler, directed an especially creepy episode of the series, "Mosley Lane." Good news! Matthew has just tweeted that he will be directing again in Season 6. As Dr. Spencer Reid, has proven himself an outstanding young actor, but his first love has always been film making. He graduated in 2002 from NYU Tisch School of the Arts where he majored in film directing. Looking forward to more news on his upcoming project. CRIMINAL MINDS also stars SHEMAR MOORE, Joe Mantegna, Thomas Gibson, Paget Brewster, and Kirsten Vangsness. CRIMINAL MINDS ~ Secret Revealed? ?